The Fort Gordon Marine/Navy Disc Golf Course is a true gold/black level course. This course has several severe elevation changes and holes in excess of 1000'. 9 of the holes offer a shorter tee option to a wider variety of players to enjoy the challenge of this awe inspiring course. 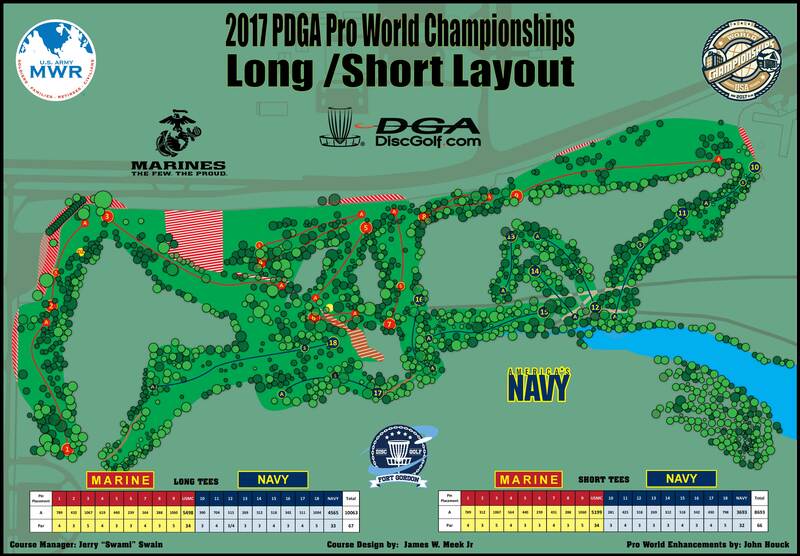 The Marine/Navy course will have a special layout over 10.000' for the 2017 Pro World Championship. Everyone 16 and older entering Fort Gordon will need to show valid ID. All vehicles, persons and bags are subject to search. Visitors (Non DoD ID card holders) MUST use gate 1. Have you played at Fort Gordon Marine/Navy Disc Golf Course? Be the first person to review this course!